Oh yes…. it’s Halloween time! Probably my favourite holiday! 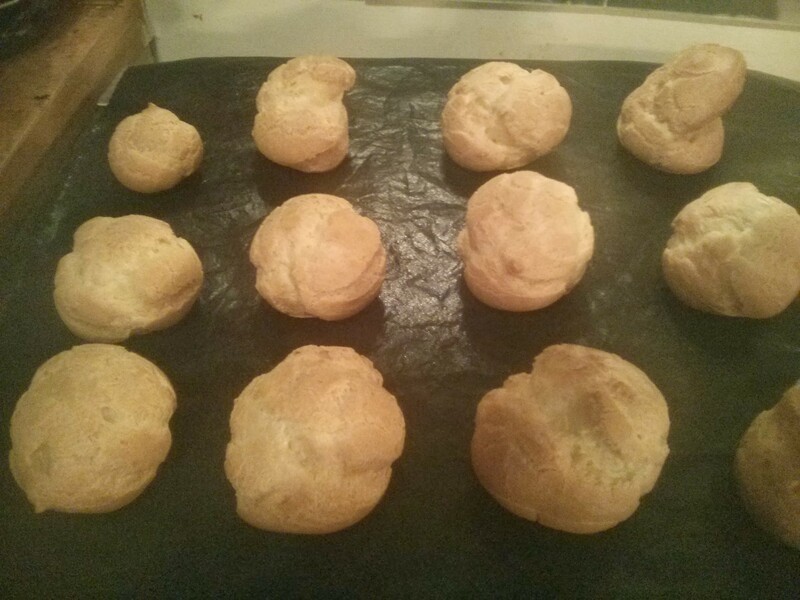 I’ve been wanting to try choux pastry for a while, so when I found this recipe for choux eye balls, I knew I’d found this week’s work treats. Boil up that lot, and as soon as it boils take off the heat and add in 2.5oz plain flour (you’ll want that weighed out in advance) and stir in vigorously. Then return to saucep and and cook until it reaches 80c (about 2mins). Remove from the heat and put into the food processor, and let cool for a few seconds. Then turn on and add 2 eggs (medium EU, large US) plus one egg white (once again you’ll want these prepped in advance). Into a pipping bag, and make 24 of them. 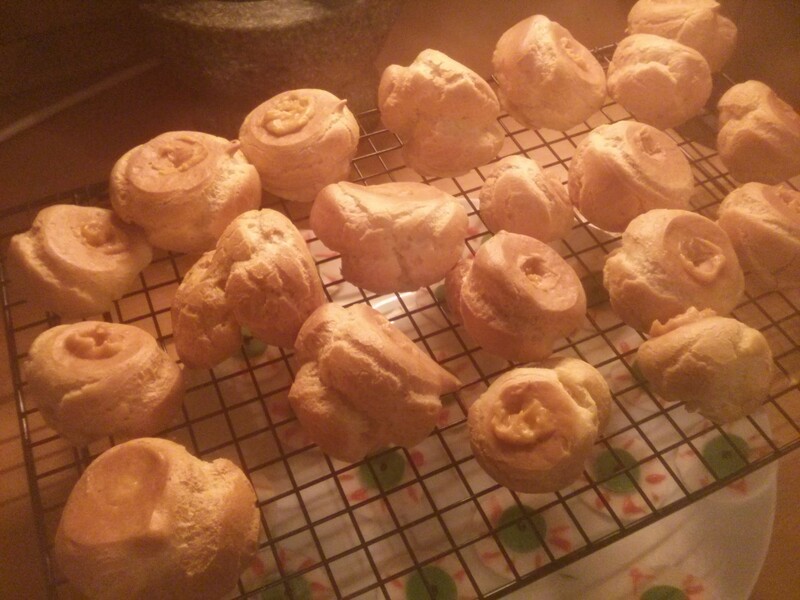 I only got 21… I made them too big (as you’ll see from some of the later!). Then pat down wit a wet teaspoon of finger (this is more important than you think: any tiny spike at this stage becomes huge once they puff up — once again see mine later!). Cook for 15mins at 200c fan, then 10 mins at 170c fan. Yeah… bit big, and a bit uneven…. but hey I’ll know better for next time! 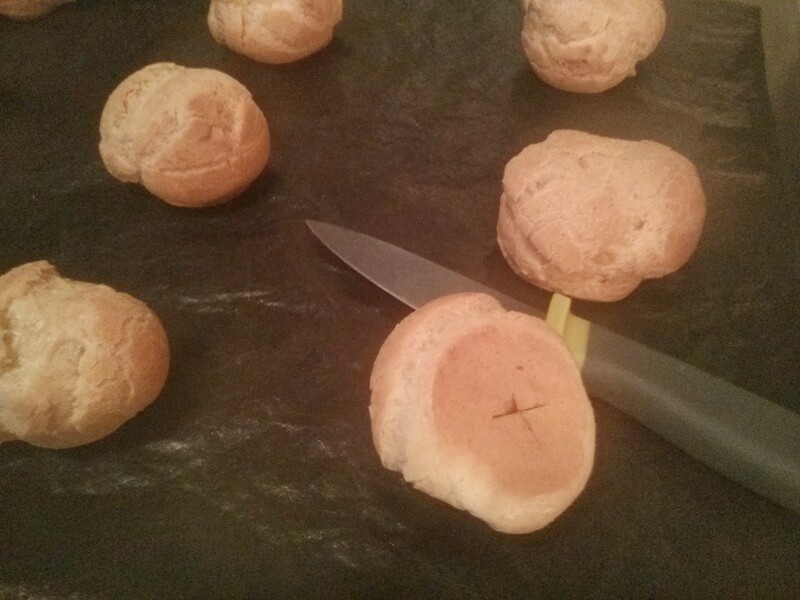 Now use a pairing knife to puncture the bottoms and let the steam out. Then back in the oven, and turn it off and prop the door open and leave for 45 mins before putting on a cooling rack. 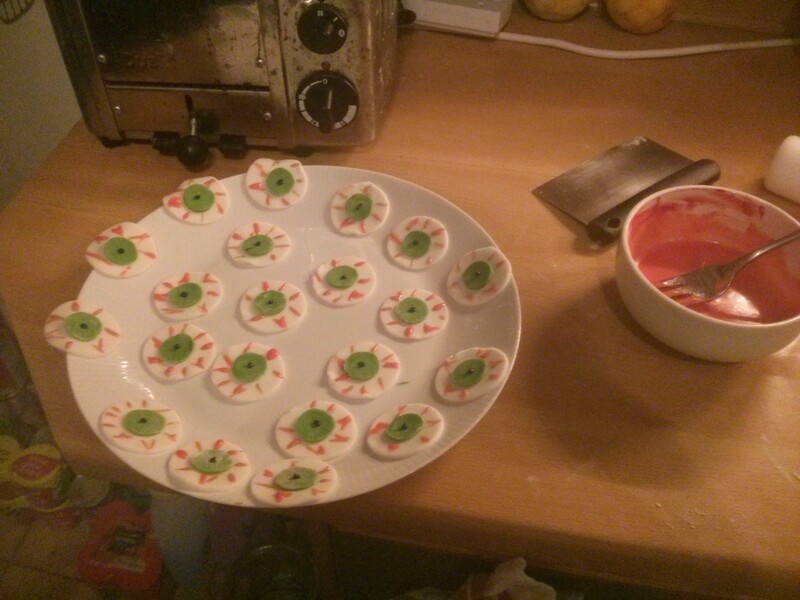 Meanwhile make eyes from (bought) fondant icing and add blood-shot effect with coloured water icing. 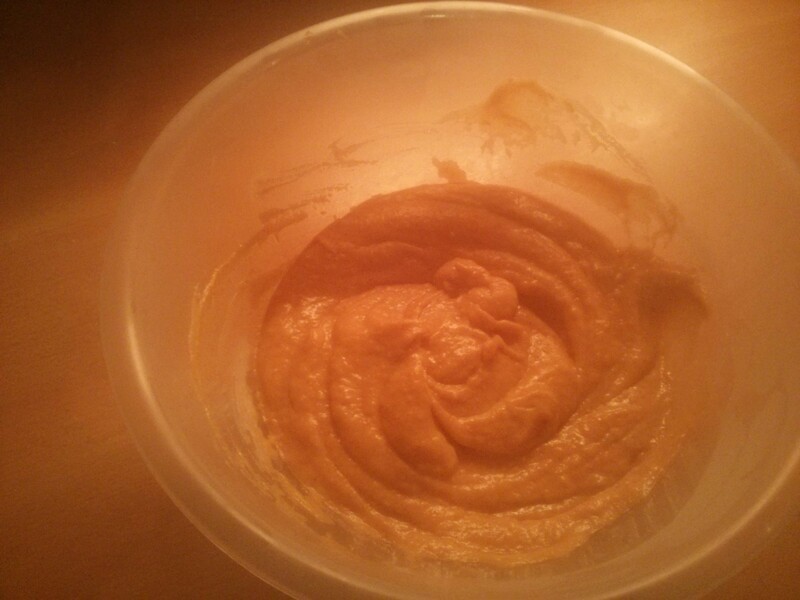 Also make a creme pat with pumpkin and spices. Mix the pumpkin purée with the ground nutmeg, cinnamon and ginger. Place the milk and roughly half the sugar in a pan and bring to the boil. Meanwhile mix together the remaining sugar with the corn flour. 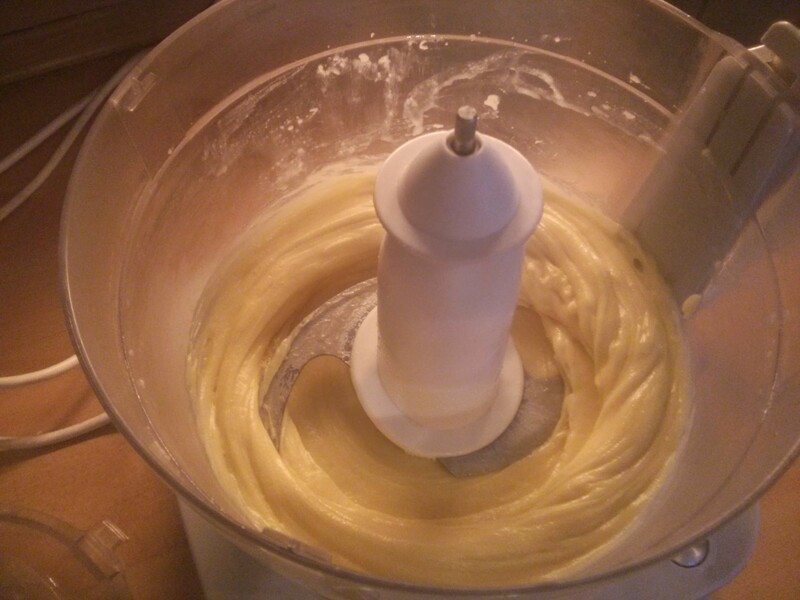 Add the egg yolks and mix with a whisk to make a thick paste. 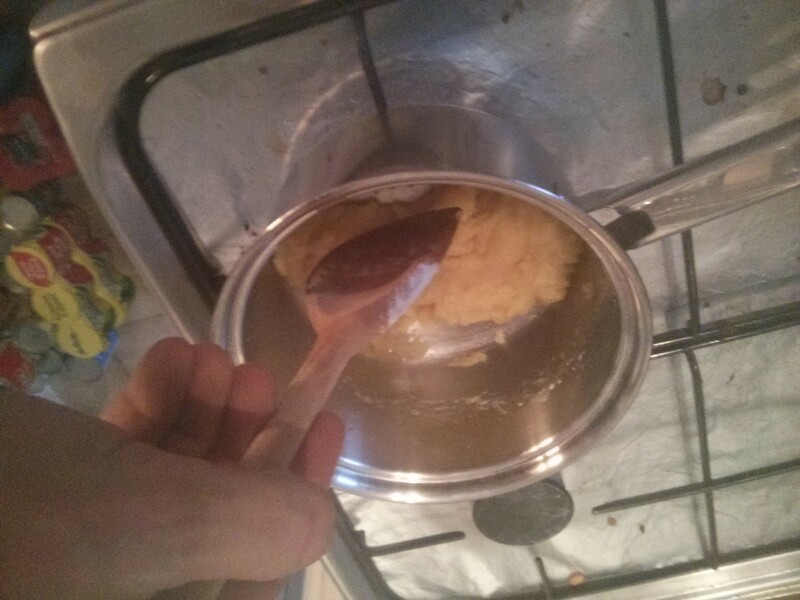 Pour a small amount of the boiling milk over the egg mixture, whisking constantly. Add it to the rest of the milk and return to the hob over a medium heat, whisking constantly. When it starts to boil remove from the heat and add the cubes of butter along with the spiced pumpkin purée. Chill for 30 mins. Pipe the pumpkin filling into the puffs. 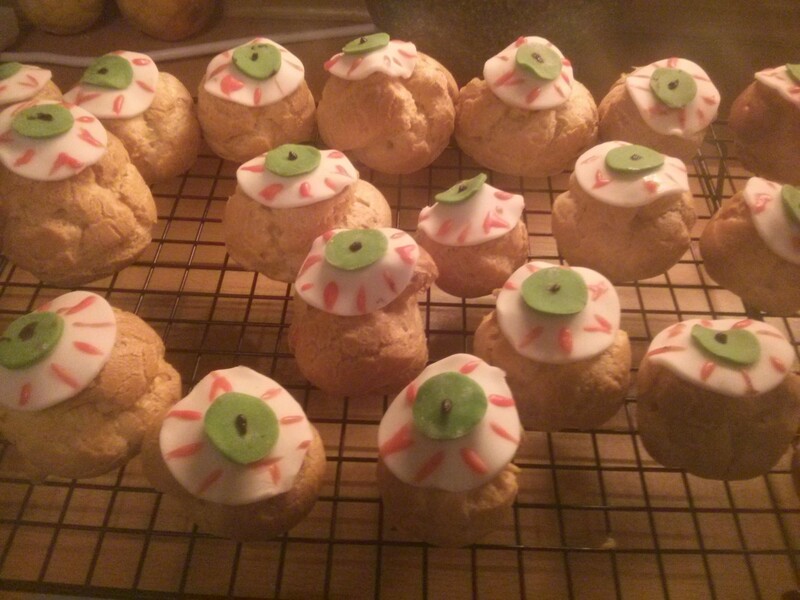 Then attach eyes using left-over sugar icing. 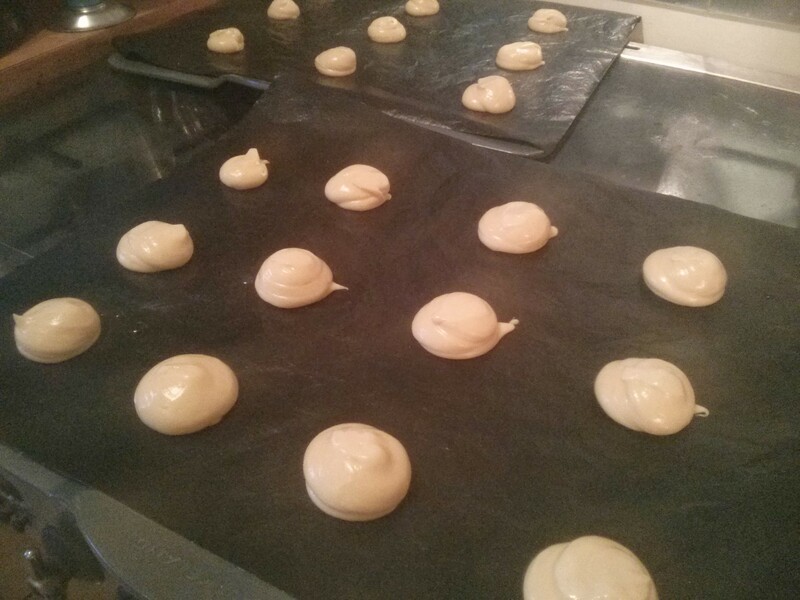 Then store in fridge over night… and hope the weather lets me get them into work tomorrow!